To collect pertinent rainfall, climate and river data and to use this information to assist Emergency Management Offices (EMO) in determining areas of concern for potential high water or drought problems in Chemung, Schuyler and Steuben Counties. Provide the EMO in each county with accurate and updated severe weather information during flooding emergencies, whenever possible. Develop fail-safe communication links with the EMO in each county, with the National Weather Service, US Army Corps of Engineers and with the Region 8 NYS Department of Environmental Conservation. Organize, train and maintain a volunteer corps of rain gauge readers and a volunteer operational staff for the Gustina Emergency Operation Center. Maintain and service those sensors for rainfall, climate and river levels, which are under Flood Warning Service control. The Flood Warning Service (FWS), operated by Environmental Emergency Services, Inc., is a not-for-profit corporation that derives its funding from contributions made by Chemung, Schuyler and Steuben counties, and the cities, Towns and villages within those counties. The FWS provides a centralized point for data/information collection, analysis, and distribution for Steuben, Schuyler and Chemung Counties. This mission is carried out through cooperative activities with the Chemung, Schuyler and Steuben County Emergency Management Offices (EMOs), the National Weather Service (NWS), the New York State Department of Environmental Conservation (DEC), the U.S. Army Corps of Engineers (COE) and the U.S. Geological Survey (USGS) for the mutual benefit of parties. The Flood Warning Service operates from a forecast center located in the Corning Fire Station. It is operated by trained volunteer staff. The center is normally activated by one of the following agencies: Steuben County EMO, Chemung county EMO, Schuyler EMO or DEC Region 8 Flood Control. These agencies have emergency weather notification via the New York State Police Information network, through which they receive immediate notification of all weather watches, warnings, bulletins, and statements. The criteria for activation include the following: NWS statement, automatic rain gauge alarm (1 inch/hour), river gauge threshold, or observer reports. A telephone call up procedure is used to notify volunteers. The activation procedure is organized into four levels of response, reflecting the severity of the flooding situation. Level 1 Inactive — Automated data collection. Level 2 Standby — Keep in touch. Level 3 Activated – Skeleton staff at the Emergency Operations Center until released. Level 4 Activated – Full staff at the Emergency Operations Center with 24-hour coverage until released. The Flood Warning Service receives weather forecast, precipitation, and stream level data from a variety of sources. Stream level gauges and precipitation gauges are located throughout Chemung and Steuben counties and in upstream locations. These and other relevant data are available through the following sources. The red titles are direct links. National Weather Service: Severe weather forecasts, flood forecasts, rainfall amounts, and flash flood guidance information are received from the NWS. The FWS obtains this information through the Steuben and Chemung county EMOs, by phone, or by fax. Near real-time rain and river gauge data are available through NWS web pages on the Internet. Flood Warning Service automated rain and stream gauges: The FWS owns and maintains a network of automated rain and stream gauges located throughout Chemung, Schuyler and Steuben Counties. 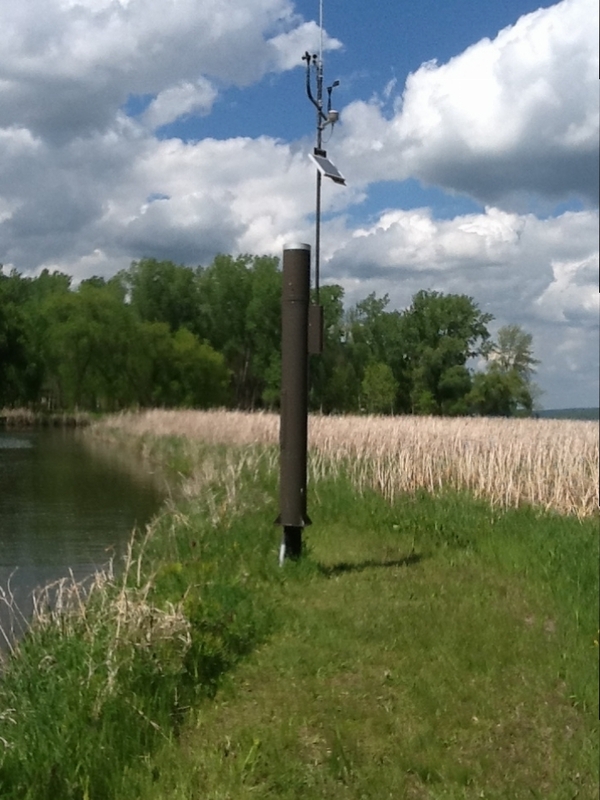 At this time, there are 4 automated river gauges and 17 precipitation gauges. 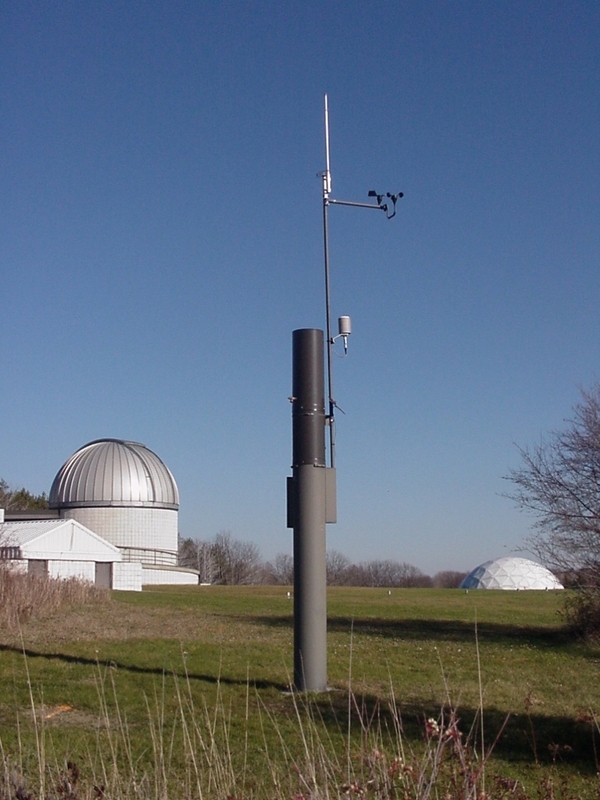 Data from these automated gauges are fed by telemetry to the FWS. The data are collected, tabulated, and plotted by two computer data base program systems (ALERT and GAGER). These data are also relayed by telemetry to the NWS office in Binghamton for use in preparing NWS flood forecasts. Telemark river gauges: River level data are currently available from six Telemark gauges, four of which are located at the same points as the FWS river gauges. This data are accessed by telephone. Near real- time data from some of these gauges are posted on the Internet. Corps of Engineers Baltimore computer database: Current and historical reservoir data for the Hammond, Tioga, Cowanesque, Almond, and Arkport dams are available from the COE computer database and by telephone. 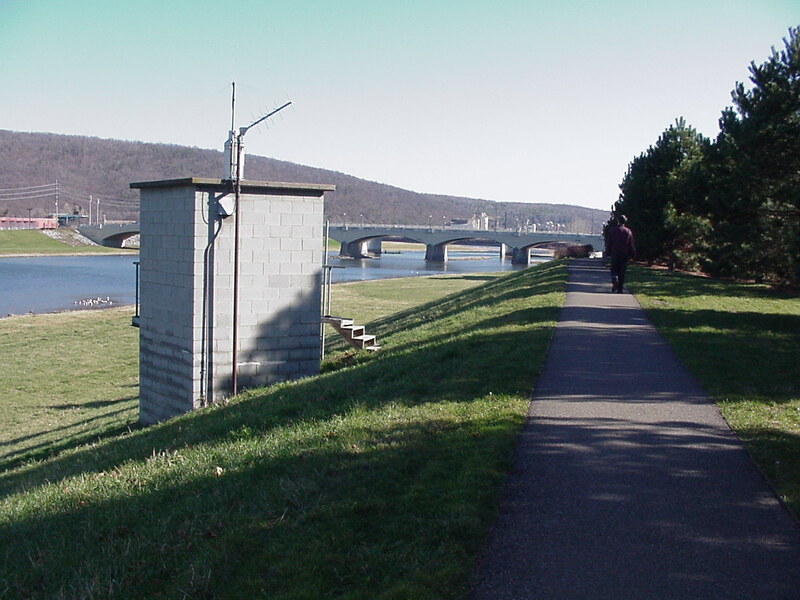 The database also includes data from precipitation and river gauges in the COE and Susquehanna River Basin systems. The COE computer database can be accessed by a direct log-on procedure or through the internet. United States Geological Survey internet database: River stage and discharge data from river gauges in the Chemung River Basin in New York and Pennsylvania are posted on the internet and accessed through the USGS web page. This data is updated daily. Volunteers and emergency personnel: Additional precipitation and river/stream data are available from volunteer rain and river staff gauge readers. An answering machine at the FWS forecast center is set up to receive this information and can be accessed remotely by telephone. Staff gauges are monitored by DEC-operations-staff and local emergency personnel during a flood. Water levels are reported to the DEC flood control office, the county EMO, and/or FWS. The redundancy of data sources and methods for accessing this data is a key to the reliability of the overall system for flood warning.